This week the SubseaIQ team added 1 new projects and updated 14 projects. You can see all the updates made over any time period via the Project Update History search. The latest offshore field develoment news and activities are listed below for your convenience. Aug 20, 2012 – RWE Dea has completed its 3D seismic survey offshore Turkmenistan in under four months. Approximately 154 square miles (400 square kilometers) was acquired in RWE Dea’s Block 23, which was awarded as part of a production sharing contract (PSC) in 2009. According to RWE Dea, it will take several months for geologists and geophysicists to interpret the processed data collected from the Miocene and Pilocene rock strata at depths of 9,842 to 21,325 feet (3,000 to 6,500 meters). This 3D seismic survey transitioned from onshore to shallow water and was the first of its kind conducted on the coast of Turkmenistan. An additional 2D program was included in the seismic measurements in order to further assess the exploration potential of the area. Aug 23, 2012 – Total E&P Philippines B.V. announced it has agreed to a farm-out with Mitra Energy to take 75% interest in offshore Block SC56. The block is located in the Sulu Sea, covers a total area of 1,660 square miles (4,300 square kilometers) and has water depths ranging from 656 to 984 feet (200 to 3,000 meters). Mitra retains 25% interest in SC56. A new exploration phase begins September 2012 with Mitra operating the re-processing of existing data and the acquisition of an additional 193 square miles (500 square kilometers) of 3D seismic. Operatorship will transfer to Total for drilling operations. Approval of this agreement by the authorities of the Republic of Philippines is pending. Aug 23, 2012 – Premier Oil reported that the Anoa facility has been undergoing a series of upgrades via engineering projects collectively known as Phase 4. The first phase commenced began in July with pre-fabricated compression models being installed on the platform. The second phase of construction will continue during Summer 2013. The overall project will be completed during the second half of 2013 and will result in the development of around 200 billion cubic feet of undeveloped proven reserves on Natuna Sea Block A and increase the Anoa facility’s capacity to 200 BBtud. Aug 23, 2012 – Construction on the Bualuang Bravo Platform is scheduled to be finished by the end of August and approvals have been received for the environmental impact assessment. The K1 HLV will begin load-out and installation of the platform by mid-October and by the end of October the platform will be ready for development drilling activities. Aug 17, 2012 – Premier Oil reported that the Chim Sao North West appraisal well, CS-3X, has reached a total depth of 13,894 feet (4,235 meters). The well has been plugged and abandoned after encountering oil shows in the Middle Dua sands. The appraisal well was drilled to determine whether the Chim Sao North West discovery extended into a separate fault segment to the north. The well targeted the Upper and Middle Dua sands. While 443 feet (135 meters) of sandstone reservoir were penetrated in the Upper Dua interval there was no indication of hydrocarbons. In the Middle Dua interval 541 feet (165 meters) of sands were drilled, but only oil shows were encountered. The CS-N17XP well, which was completed immediately prior to the appraisal well, was drilled to produce from the North West extension to the Chim Sao Field. That well was brought on-stream earlier this month with initial extended production test rates averaging 4,000 barrels of oil per day from four Upper Dua reservoirs. Aug 23, 2012 – UK’s Department of Energy and Climate Change has approved the Field Development Plan for the Fionn Field. Previously drilled and suspended, 211/22a-6, will be completed with dual electrical submersible pumps. First oil is anticipated in mid-2013 at an initial rate of 4,500 bopd. The well, which was originally drilled in 2007, tested oil from the Ness and Etive formations at a combined flow rate of approximately 5,500 bopd. Production from Fionn will be combined with production from Causeway and transported for processing to the Cormorant North platform. Aug 23, 2012 – Statoil, along with its partner Petoro, has announced plans for further development of the Gullfaks South field located on the Norwegian continental shelf. Production in the field has fallen sharply in recent years. With a planned investment of $1.4 billion, Statoil will apply its “fast-track” concept which will make use of existing infrastructure as well as two new subsea structures and six additional development wells. The partners believe that their investment will allow recovery in the field to be increased by 65 million barrels of oil equivalent. Aug 23, 2012 – Upon completion of operations at Tomintoul, Total will move the West Phoenix (UDW semisub) to its Spinnaker prospect. Spinnaker is located West of Shetlands on Block 206/04a. Aug 21, 2012 – Upon completion of operations at Tomintoul, Total will move the West Phoenix (UDW semisub) to its Spinnaker prospect. Spinnaker is located West of Shetlands on Block 206/04a. Aug 17, 2012 – Statoil has made an oil discovery at the Geitungen prospect, reported Det norske, a partner in Production License 265. Oil was encountered and a core sample was recovered. Drilling operations are ongoing and the final results from the well are not yet available, Det norske said in a statement. The Ocean Vanguard (mid-water semisub) is drilling exploratory well 16/2-12 to a total depth of 6,759 feet (2,060 meters) to prove the presence of oil-bearing Jurassic sandstones similar to the Johan Sverdrup discovery. Statoil operates the field with a 40 percent stake; while Lundin holds 10 percent; Petoro holds 30 percent; and Det norske holds the remaining 20 percent. Aug 17, 2012 – Talisman Energy stated that the Duart field, which was shut-in on July 26 due to a process shutdown on the host Tartan platform, remains shut-in to date. During the shut-in period, additional technical issues have come to light which are preventing the restart of gas processing on the Tartan platform. The gas process is required to support Duart production. The operator will continue to close the field until these problems are resolved. Talisman indicates that the earliest restart date is December 2012. Aug 23, 2012 – Borders & Southern received positive results from the fluid analysis performed on samples from Well 61/17-1 located offshore the Falkland Islands. The initial condensate yield from the Darwin gas samples, as measured in a laboratory separator test, varies from 123 to 140 stb/MMscf. The API gravity of the condensate is 46 to 49 degrees. Based on the condensate yield and ongoing reservoir modeling, the Company estimates the recoverable volume of condensate to be 130 to 250 million barrels with a mid-case of 190 million barrels. The company will now move forward with the acquisition of additional 3D seismic data in 2013 and explore the best way to fund an exploration and appraisal campaign. Aug 23, 2012 – Ophir Energy has successfully drilled the Fortuna East-1 appraisal well in Block R offshore Equatorial Guinea. Fortuna East-1 is located approximately 4 miles (7 kilometers) east southeast of Fortuna-1. The well encountered natural gas in the eastern lobe of the Fortuna Complex as well as in a deeper exploration target Viscata. The recoverable mean resource from the eastern lobe is now estimated at 426 Bcf. A 180-foot (55-meter) gas bearing column containing a total of 131 feet (40 meters) of net pay in the primary target Late Miocene sands of the eastern lobe of the Fortuna Complex was encountered. Pressure measurements indicate communication between Fortuna-1 and Fortuna East-1. Aug 20, 2012 – Interests in two major natural gas projects in Australia have changed hands between Royal Dutch Shell and Chevron Corporation. Shell has agreed to swap its interest 33.3-percent interest in two gas fields associated with its Wheatstone project located in Western Australia and pay $450 million in cash to Chevron. In return, Shell will receive a combined interest of 36.7-percent interest in the Browse LNG project. Shell will now hold a 35-percent ownership in West Browse and 25-percent in East Browse. International Director for Shell Upstream, Andy Brown believes this deal with simplify the ownership of the Browse gas fields. Aug 17, 2012 – Karoon Gas has completed repair work on a blowout preventer after more than two months, and the contracted semisub rig, Transocean Legend (mid-water semisub), can resume drilling in the Greater Poseidon area in the Browse Basin offshore Western Australia. The operator is planning to drill at the Boreas-1 well, the first of a minimum five exploration wells the consortium will drill in the Greater Poseidon area, will begin on Aug. 17. All of the five exploration wells will be drilled by the Transocean Legend, and lie in the WA-314-P, WA-315-P and WA-398-P Browse Basin permits containing the previously announced Poseidon and Kronos gas discoveries. Karoon Gas holds a 40 percent stake in WA-315-P and WA-398-P, and a 90 percent stake in WA-314-P. ConocoPhillips holds the remaining stakes in the three permits. This week the SubseaIQ team added 4 new projects and updated 29 projects. You can see all the updates made over any time period via the Project Update History search. The latest offshore field develoment news and activities are listed below for your convenience. Jun 27, 2012 – BP is selling its interests in the Alba and Britannia fields in the UK sector of the North Sea to Mitsui & Co. for $280 million. Net BP production from the two fields averages some 7,000 barrels of oil per day. The sale comprises BP’s 13.3-percent stake in Alba and 8.97-percent stake in Britannia. Completion of the deal is anticipated by the end of 3Q 2012, subject to regulatory and other licensee approvals. Jun 27, 2012 – Statoil has commenced exploratory drilling at its Brugdan prospect in License 006, Block 6104/21, in the Faroe Islands. The operator is using the COSLPioneer (mid-water semisub) to drill the well. Statoil expects drilling operations to take four to five months. Jun 27, 2012 – Bridge Energy has executed an agreement with Agora Oil & Gas for the farm-down of a 15-percent working interest in Production Licenses 497 and 497B. After the transaction Bridge Energy will hold a 15-percent working interest in the two licenses. Cairn will, as a consideration for the transaction, carry a substantial share of Bridge Energy’s well cost. Geite, the main prospect in the licenses is scheduled for drilling in 3Q 2012. Jun 27, 2012 – Noreco has increased its interest in the Maja License (9/95) on the Danish Continental Shelf from 12 to 16.4 percent, and the license period has been extended for two years. The license contains part of the Gita discovery which was made in 2009. A new exploration well is now being planned in the license. The increase in ownership takes place at no charge, following a partner’s withdrawal from the license. 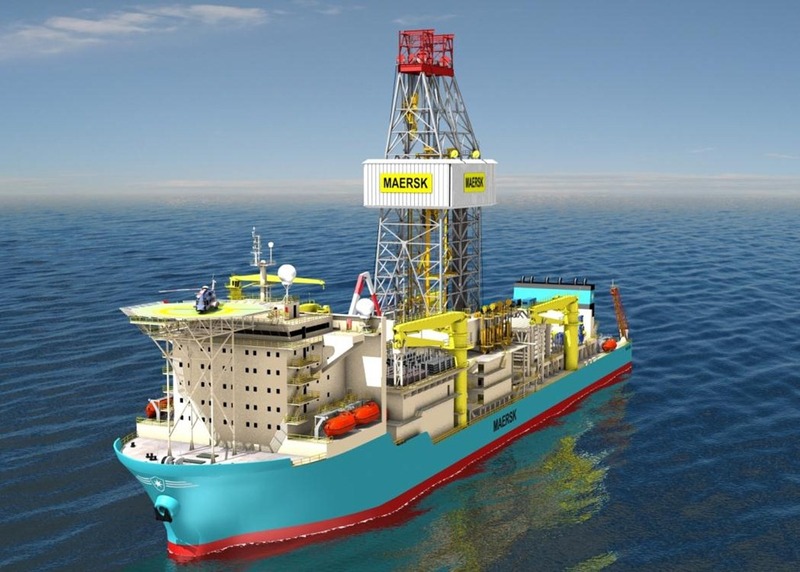 Operator for the Maja license is Maersk Oil with 42.6 percent interest. Other partners are DONG Energy with 27.3 percent interest and Danoil with 13.7 percent interest. Jun 27, 2012 – ExxonMobil awarded Aker Solutions a frame agreement for fields located on the Norwegian Continental Shelf. The frame agreement covers engineering, procurement, construction and installation of several fields, including Balder, Jotun A, Jotun B and Ringhorne. The fixed contract duration is five years from 2012 to 2017, with options for two additional five year periods. The frame agreement will be managed from Stavanger. Jun 25, 2012 – EnQuest Britain awarded Technip a contract for the development of the Alma and Galia fields in the UK sector of the North Sea. The scope of work includes installation of two 10-inch production flexible flowlines, one 8-inch water injection flexible flowline and one further 8-inch production flexible flowline; installation of three 8-inch flexible risers; installation of two production control umbilicals/risers; installation of four power cables and associated dynamic risers; procurement, fabrication and installation of a 175-ton manifold structure; and associated trenching operations, tie-ins, testing and commissioning. The fields will be tied-back to the EnQuest Producer FPSO, which are located in a water depth of about 262 feet (80 meters). Jun 25, 2012 – Premier Oil will plug and abandon the Coaster exploration well at UK Block 28/10 as a dry hole. The operator commenced exploratory drilling in the beginning of June. Jun 25, 2012 – The Danish Energy Agency has extended PA Resources Licenses 12/06 and 9/06 by two years. License 12/06 is operated by the company with a 64% interest; and license 9/06 is operated by Maersk, wherein the company has a 26.8% stake. The 12/06 permit contains last year’s Broder Tuck gas/condensate and Lille John oil discoveries. PAR plans to drill an appraisal well at Lille John and is negotiating a drilling management contract. In 2009, the Gita 1X-well in license 9/06 encountered indications of hydrocarbons in the Middle Jurassic high-pressure/high-temperature (HP/HT) secondary target, but with low permeability. Subsequent studies have not lowered the producibility risk. There is no well commitment but a decision regarding drilling must be made by October 2013. In the meantime, further subsurface studies will be performed to evaluate prospectivity at Upper Jurassic and shallower Cretaceous and Tertiary levels. Jun 25, 2012 – Valiant Petroleum has completed drilling at the Tryfan prospect in UK Block 3/17. The well encountered both Frigg and Dornoch sandstones on prognosis with a small gas column present at the top of the Frigg formation interpreted to be sub-commercial. The well will now be plugged and abandoned. Jun 22, 2012 – Hertel Offshore has signed a contract for the EPC delivery of the Shell Draugen Additional Living Quarter, which will accommodate 44 people and will be designed according to the Norsok standards. Work has commenced and delivery of the module is scheduled for May 2013. Construction will be done at the Hertel Offshore premises in Rotterdam, The Netherlands. Jun 27, 2012 – InterMoor has completed the installation of the electrical submersible pump conductors for the artificial lift manifold as part of the Shell BC-10 phase two project. InterMoor was responsible for the fabrication and installation of four conductors in addition to one spare conductor for the project. Weighing in at more than 70 metric tons, the conductors measured 48 inches in diameter and 197 feet (60 meters) long with a 1.5-inch wall. The conductors were installed in water depths up to 5,600 feet (1,707 meters) off the coast of Brazil in the northern Campos Basin. Jun 28, 2012 – BHP Billiton will plug and abandon the Banambu Deep-1 well as wire-line logs show that the well is water-bearing. The well, located in permit WA-389-P, lies in waters 1,050 feet (320 meters) deep. The well was drilled to 15,470 feet (4,696 meters) measured depth (mMD) on June 26, 2012, within the Mungaroo Formation. 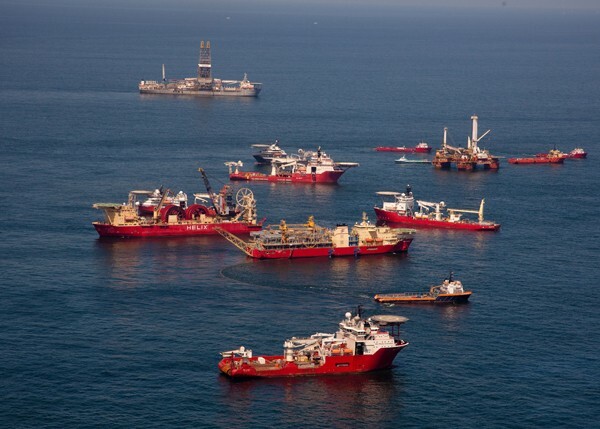 Jun 28, 2012 – ConocoPhillips is moving forward with drilling of the Boreas-1 exploratory well in WA-314-P following the final function testing of the blowout preventers for the semisub Transocean Legend (mid-water semisub). The BOPs and marine riser were run to the sea floor, and after function testing, were pulled from the hole for further repair and maintenance. After passing all checks on the surface, they have been re-run to the seafloor for final subsea function testing. The company will drill the second well in the program, Zephyros-1, in permit WA-398-P approximately 4.9 miles (8 kilometers) southwest of the Kronos-1 discovery location. The third well, Proteus-1, will be drilled in WA-398-P approximately 8.6 miles (14 kilometers) southeast of the Poseidon-1 discovery location. Jun 27, 2012 – Apache is ready to spud its Balnaves Deep-2 prospect offshore Australia, but is waiting on approval from the Australian government to move forward. The operator will use the Atwood Falcon (DW semisub) for drilling operations. Jun 22, 2012 – Technip received a contract to provide services to the Ichthys FPSO, which will be located in the Browse Basin, Western Australia, at a water depth of 820 feet (250 meters). Under the agreement, Technip will provide engineering and procurement assistance for the topside facilities of the 1.2 million barrels storage capacity FPSO to South Korea’s Daewoo Shipbuilding & Marine Engineering. The Ichthys LNG project is expected to produce 8.4 million tonnes of LNG, 1.6 million tonnes of liquefied petroleum gas and 100,000 barrels of condensate. Jun 22, 2012 – Nexus Energy Limited announced that the vessel to inspect and potentially rectify the electrical fault that caused the suspension of production on the Longtom field has arrived. Initial inspections have identified the fault to be contained within a specific section of the offshore system, which has enabled an engineering solution to be developed with implementation and associated production expected by month end. Given the mobilization of the specialized vessel, the opportunity is being taken to expand the inspection program to include additional sections of the offshore system, stated the company. Jun 27, 2012 – Falkland Oil and Gas has executed a farm-out agreement with Edison International in relation to its licenses in the Falkland Islands. Edison will farm-in and earn a 25 percent interest in FOGL’s northern area license, which contains the Loligo prospect, in return for which it will contribute a pro-rate share of the costs of the 2012 drilling program – comprising two exploration wells. Edison will also farm-in and earn a 12.5 percent interest in FOGL’s southern area license, containing the Undine prospect, and will contribute to the 2012 work program. Meanwhile, Edison has agreed to pay its pro-rate share of certain historical costs incurred by FOGL during 2011 related to the 2012 drilling program. Edison’s share of these costs is expected to be around $50 million. FOGL expects to receive the Leiv Eiriksson (UDW semisub) in July to commence the drilling program. Jun 28, 2012 – Eni has commenced gas production from the Seth field off the coast of Egypt. The field is expected to produce about 4.8 MMcm/d. The Seth project consists of a platform placed at a water depth of 262 feet (80 meters), two production wells and a pipeline of 6.8 miles (11 kilometers). The pipeline links the platform to the onshore processing facility in El Gamil. Jun 27, 2012 – Noble Energy has begun gas flow from the Noa North field in the Mediterranean. The field was completed as a subsea tie-back to the Mari-B platform. Mari-B is the first offshore natural gas production facility in the State of Israel. Noble Energy is the operator of the project with a 47.059 percent working interest. Jun 27, 2012 – KBR will execute a pre-FEED study for a project located off the coast of Israel. KBR will provide the pre-FEED study for the King liquefied natural gas-floating production storage and offloading (LNG-FPSO) facility currently being evaluated for Noble Energy’s Tamar gas field off the coast of Israel. Jun 27, 2012 – Rialto Energy has awarded Petrofrac a Front End Engineering Design (FEED) contract for Block CI-202, containing the Gazelle field, offshore Cote d’Ivoire. Work is scheduled for completion in October. Rialto is working to fast track first hydrocarbons. It expects to award further contracts before the end of this year. The field development plan and gas agreement has been approved by the Cote d’Ivoire authorities and the production facilities will consist of a fixed production platform at the Gazelle field with separate oil and gas pipelines from the platform to shore. Jun 25, 2012 – Namibia’s Minister of Mines and Energy has approved BP’s farm-in of 30 percent to Serica Energy’s offshore Luderitz basin license 0047. The agreement was first announced in March. BP will cover the entire cost of a 3D seismic survey over an area of up to 1.025 million acres (4,150 square kilometers) across the concession. Participants in the block are now Serica Energy (55%); BP (30%); National Petroleum Corp. of Namibia (10%); and Indigenous Energy (5%). Jun 27, 2012 – Otto Energy reported that the Philippines Department of Energy has granted a nine-month extension to the third exploration sub-phase of Service Contract 69 in the offshore Visayan Basin. The extension will give the consortium additional time to evaluate three potential targets on the block – Lampos, Lampos South and Managau East. Otto said it will use the extension period to start planning for an exploration well. Jun 27, 2012 – Salamander Energy reported that the Far East prospect on the Bualuang field in License B8/38 in the Gulf of Thailand has reached a total vertical depth of 4,580 feet (1,396 meters) and is currently being prepared for a Drill Stem test. The well encountered an 82 foot (25 meter) section of excellent quality T5 Miocene sandstones, the primary target on depth prognosis. However, following the acquisition of a full suite of wireline logs, these sandstones are interpreted to be water-wet, with no evidence of hydrocarbon saturation. The well was then deepened to test the secondary objective. The well penetrated a conglomeratic section overlying the Ratburi carbonates from 4,423 feet (1,348 meters) TVDSS to current total depth (“TD”). Oil shows were observed at 4,482 feet (1,366 meters) TVDSS and severe mud losses were experienced from 4,495 feet (1,370 meters) TVDSS. Interpretation of logging while drilling data shows zones of potential oil pay in highly porous section from 4,478 feet (1,365 meters) to current TD. This week the SubseaIQ team added 3 new projects and updated 30 projects. You can see all the updates made over any time period via the Project Update History search. The latest offshore field develoment news and activities are listed below for your convenience. Jun 21, 2012 – Rialto Energy reported that it has encountered high gas readings and recovered oil and gas samples from the sidetrack of its Gazelle-P3 well. Wireline logs have been taken while further logging with vertical seismic profile and sidewall coring are continuing with completion expected in the next three days. Rialto said the oil and gas samples were recovered from the Upper Cenomanian sands as expected while the gas readings were noted in the Lower Cenomanian. The samples will also be used to assist in the design of the Gazelle field development processing facilities. Jun 20, 2012 – Kosmos Energy has entered into an agreement with Chevron under which Kosmos will assign half of its interest in Blocks 42 and 45, offshore Suriname, to Chevron. Under the agreement, Kosmos will have a 50 percent working interest and remain operator of both blocks until the end of the exploration phase. Chevron will assume the remaining 50 percent working interest and will become development operator of any commercial discoveries. Blocks 42 and 45 cover an area of about 2.8 million gross acres in water depths ranging between 650 to 8,500 feet (200 and 2,600 meters). First drilling is targeted for 2014. Jun 18, 2012 – Salamander Energy has spud the Bualuang Far East-1 exploration well in Block B8/38, Gulf of Thailand. The Bualuang Far East prospect is located approximately four miles (six kilometers) to the northeast of the Bualuang oil field. The Far East-1 well will be drilled to a total vertical depth of 4,765 feet (1,452 meters) subsea. The primary target is the T5 Miocene sandstones with secondary targets comprising an underlying Permian-age Ratburi carbonate and a T4 Miocene sandstone stratigraphic trap. The main T5 objective has potential mean recoverable resources of 20 million barrels of oil. The well will be drilled by the ENSCO 53 (300??? ILC) jackup and is expected to take about 20 days to complete. Jun 19, 2012 – Chevron has agreed to sell 10-percent participating interest of its Wheatstone field licenses and 8-percent participating interest of its Wheatstone natural gas processing facilities to Japan’s Pan Pacific Energy. Chevron added that Japan’s Tokyo Electric Power Company (Tepco), one of the stakeholders in Japan’s Pan Pacific Energy K.K, has agreed to purchase an additional 0.4 million tons per annum (MTPA) of liquefied natural gas from the Wheatstone Project for up to 20 years. This new agreement brings Tepco’s total LNG offtake to 4.2 MTPA. Jun 18, 2012 – Noble Energy has suspended gas flow from the Pinnacles No. 1 well offshore Israel. According to partner Delek Group, this is due to an indication of a gas composition that does not match the specification for flow. The operator plans to examine alternative options including gas treatment to allow the resumption of gas flow. Jun 15, 2012 – The Ligurian No. 2 well has failed to encounter commercial hydrocarbons and will now be plugged and abandoned after reaching a final depth of more than 30,000 feet (9,144 meters). The ENSCO 8503 (UDW semisub) drilled the well to a total depth of 31,800 feet (9,693 meters). Jun 15, 2012 – The BOEM recently approved Anadarko’s permit to drill at its Shenandoah prospect in Walker Ridge Block 51. The permit lists the ENSCO 8505 (UDW semisub) as the rig that will perform drilling operations. The Shenandoah well has a proposed depth of 32,000 feet (9,754 meters) and is located in approximately 5,800 feet (1,768 meters) of water. Jun 21, 2012 – Ocean Installer has completed a survey and intervention work at the Balder field. The conducted work encompassed inspection and maintenance of the subsea control system at the field. Balder is located on Blocks 25/10 and 25/11 in the Norwegian sector of the North Sea about 118 miles (190 kilometers) west of Stavanger, Norway at a water depth of 410 feet (125 meters). Jun 21, 2012 – Providence Resources has completed the core analysis of the reservoir at its Barryroe discovery. The firm said that permeabilities in the basal oil-bearing reservoir interval have exceeded expectations, while good permeabilities have also been confirmed in secondary logged hydrocarbon-bearing sand. The permeabilities in the basal oil-bearing interval confirm the high-productivity nature of this reservoir as observed during well-testing operations, said Providence. The company will provide a revised resource update for Barryroe later this summer. Jun 20, 2012 – Technip won a contract for the development of the Boyla field in the Norwegian sector of the North Sea. The $381 million deal with Marathon covers all activities necessary to complete the construction of the subsea system for the field development and connect it to the existing Alvheim subsea facilities. Offshore construction will take place in 2014. The field is to be developed as a subsea tie-back to the Alvheim FPSO, with two production wells and a water injection well. The Boyla field is estimated to hold reserves of 23 million barrels of oil equivalent. Jun 19, 2012 – Statoil reported that the Valemon jacket was successfully delivered and installed on the field, which lies in the Norwegian sector of the North Sea. The 9,000-ton steel jacket was carried out as planned and the project remains on schedule. The jacket, which was built by Heerema Fabrication Group in Vlissingen in the Netherlands, was transported from the shipyard and out to the field by the crane barge Thialf. Development of Valemon involves a fixed platform with a steel jacket for the separation of gas, condensate and water. The rich gas will be transported via a new pipeline to the existing pipeline from Huldra to Heimdal for further processing. The condensate will be piped to the Kvitebj? ?rn platform for stabilization and further transport via the Troll oil pipeline to the Mongstad refinery. At peak production, Valemon is expected to deliver roughly 86,000 barrels of oil equivalent per day. The field is expected to come on stream in the fourth quarter of 2014 and has a life expectancy of 11 years. Jun 15, 2012 – Nexen reported that the Buzzard oil field will have an extended four-week shutdown in the third quarter for the field’s five-year regulatory inspection. The company did not specify when the shut-down will likely occur. Buzzard produces about 200,000 bopd and is the largest oil field that contributes to Forties crude. Jun 15, 2012 – Statoil has submitted a plan for development and operation for the Svalin field to the Norwegian government and reported it expects to bring the field online in 2013. Recoverable reserves at the field are estimated at around 75 million barrels of oil equivalent, with two structures Svalin C and Svalin M containing similar quantities. The Svalin C and Svalin M discoveries will be developed through a ‘fast-track’ method that uses a standard solution involving processing by existing infrastructure. The Svalin development will be tied-back to the Grane platform. Svalin M will be produced by a well drilled from the Grane platform, while Svalin C will be a subsea development connected via a four-mile long flowline to the Grane platform. The hydrocarbons will utilize shared processing and export facilities. The gas compression facility at the Grane platform will be modified to handle gas from Svalin. Oil from the Svalin development will be transported, along with production from the Grane field, through the existing pipelines for storage and shipment from the oil terminal at Sture. Jun 15, 2012 – Shell sent SBM Offshore a letter of interim award (LOIA) for the supply, lease and operation of a FPSO for the Fram field in the UK sector of the North Sea. 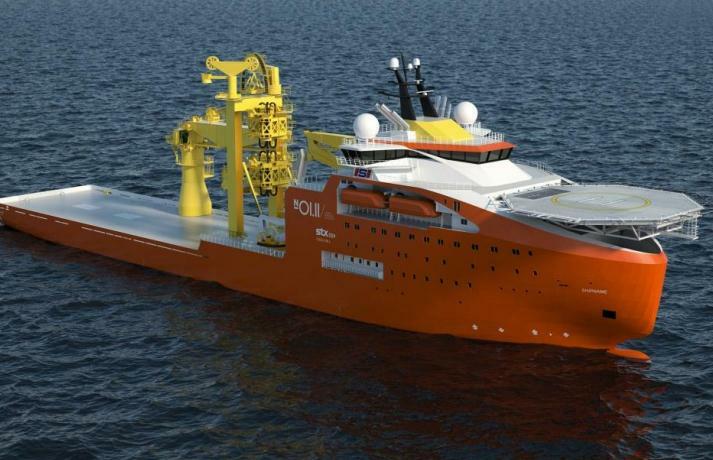 The LOIA allows SBM Offshore to commence engineering and procurement of long lead items to ensure timely completion of the planned Fram FPSO project, which is subject to a Final Investment Decision. In March 2012, Shell and SBM Offshore signed an Enterprise Framework Agreement (EFA) covering a term of five years, with an option to extend for another five years. The Fram FPSO, subject to a Final Investment Decision, will be the first project to be developed under the terms of the EFA. The hull of the FPSO will be based on a converted Aframax tanker and will incorporate an internal turret permanent mooring system. The crude will be offloaded to shuttle tankers and the gas exported via the existing Fulmar pipeline. Jun 21, 2012 – Statoil has confirmed that it has found between 100 and 200 million barrels of recoverable oil at its Mizzen deepwater prospect offshore Newfoundland. The company stated it is now assessing the discovery to determine how and when it can be economically developed. Statoil discovered oil in 2009 while drilling Mizzen O-16 and appraised the find in late 2011. Statoil plans to drill two new wildcat wells in the area by the end of next year, and potentially additional wells in 2014 and beyond. Mizzen is situated roughly 311 miles (500 kilometers) east of St. John’s in 3,609 feet (1,100 meters) of water. The world has finite hydrocarbon resources and conventional oil reserves are particularly in short supply. Furthermore, conventional oil resources from the Middle East are very much under threat of disruption as embargoes on Iranian oil exports come into full effect at the end of June 2012. However, new reservoirs of oil are increasingly being discovered in deep waters and ultra deep waters across the world. These new discoveries are providing a respite to declining production from conventional sources of oil and gas, and reducing risks in upstream oil production from the Middle East. Visiongain calculated that capital expenditure in the subsea production & processing systems infrastructure will total $8.89bn in 2012. Exploration and production companies are investing heavily in offshore development projects. Most offshore projects in water depths beyond 200-300 metres benefit from subsea production and processing systems to lift hydrocarbons to the surface. As a greater share of oil and gas is supplied from deeper water depths, investment in subsea production and processing systems will inevitably grow larger over the next ten years. Subsea systems not only enable operating companies to optimize production from offshore fields, they also increase the total amount of recoverable hydrocarbons over the life of the well. For example, with pressure boosting systems, total oil recovery rates are significantly increased. Some deepwater oil and gas reservoirs would not have been fully exploited without the aid of subsea systems. By the early 1970s the world had few commercial oil and gas facilities producing from deepwater reservoirs because challenges such as high temperature and high pressure were too restrictive. Over the years, however, more advanced multiphase pumps, subsea oil/gas/water/sand separation units and wellhead systems have evolved to overcome the difficulties, enabling companies to produce hydrocarbons from the most challenging environments. Subsea production and processing systems are advancing further to enable companies to produce from very sensitive and harsh environments such as the Arctic and high temperature, high pressure (HTHP) reservoirs. Subsea systems will not be affected by surface ice formations unlike floating platforms and can provide more controlled production from HTHP wells. Therefore, subsea systems minimize environmental risks associated with production from the Arctic region and in deepwater offshore areas. 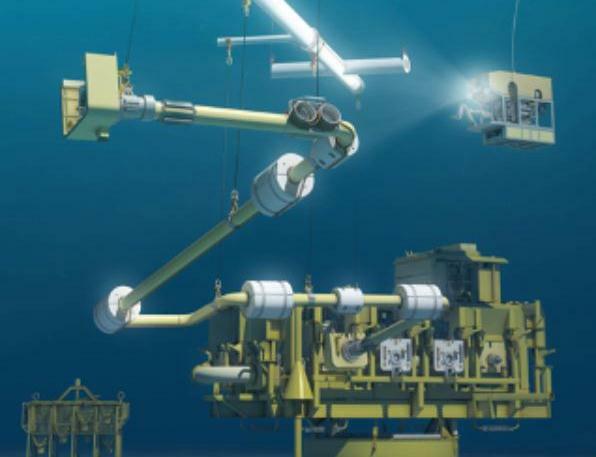 The Subsea Production & Processing Systems Market 2012-2022 report provides valuable insight into the future developments of this growing market and will benefit those already in the subsea production & processing market as well as those looking to enter this market.